(Brodi Ashton | For The Salt Lake Tribune) Freshies Lobster Co. has opened in Salt Lake City. The popular food-truck-turned-Park City restaurant opened its second brick-and-mortar location recently at 356 E. 900 South in Salt Lake City. It’s open seven days a week from 11 a.m. to 9 p.m.
That means diners in Utah’s capital can sample the “World’s Best Lobster Roll” without having to drive up Parleys Canyon. In July 2017, Freshies Lobster Co. won the title at the inaugural Down East Lobster Roll Festival in Portland, Maine, defeating 11 other succulent seafood sandwiches for the honor. Owners and East Coast natives Ben and Lorin Smaha say their lobsters are flown directly from Maine to Salt Lake City and are never frozen. The menu is the same as at the original location, and the owners received a state liquor license, which allows wine and beer service with food. Lorin Smaha said she plans to offer drink specials and special order beer from New England. 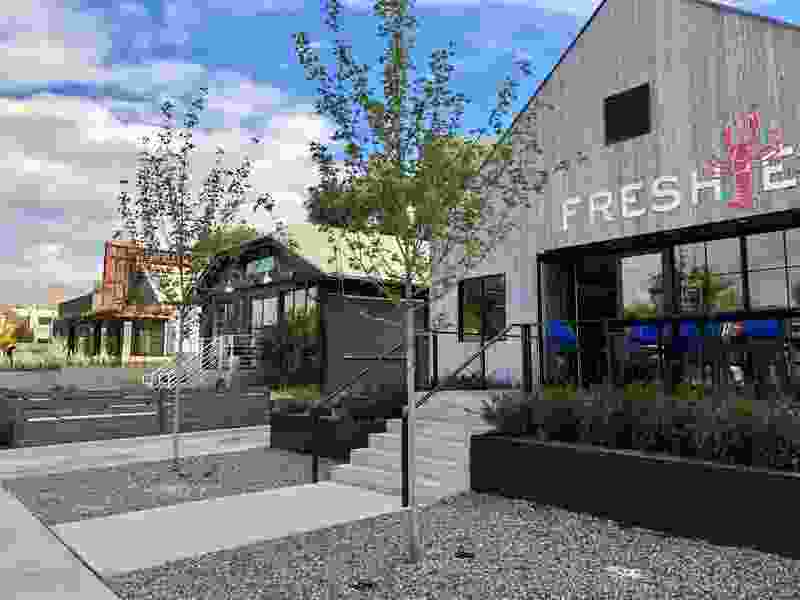 The new eatery is in an up-and-coming food neighborhood that already boasts several other innovative dining options and shops such as the Italian restaurant Veneto, boutique store Thyme and Place, and Beltex Meats, an award-winning butcher shop. Besides the award-winning lobster roll — which costs either $12, $21 or $26, depending on the size — the shop has sandwiches, soups and salads that don’t include seafood or are gluten-free or vegan.